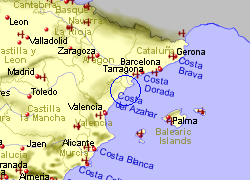 The village of Cervera Del Maestre lies approximately 14Km inland from the coastline of northern Castellon province. 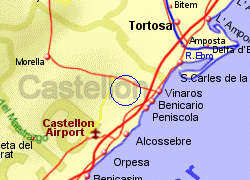 The village itself wraps around the eastern side of small hill which is surmounted by the ruins of a moorish castle. 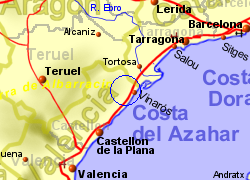 Map of the Cervera del Maestre area.